For successful run the business under modern conditions and provides its effective functioning, effective and modern instrument is needed, and this is Quality Management System, described in family of standards ISO 9000. Usage of the standard ISO 9001:2015 for companies is voluntary. Attention to an issue of quality assurance – it is first of all chance of strong leader, to gain competitive advantages in future. Implementation of Quality Management System is very important stage in every business development. Development of Quality Management System in companies fully meet modern international tendency. 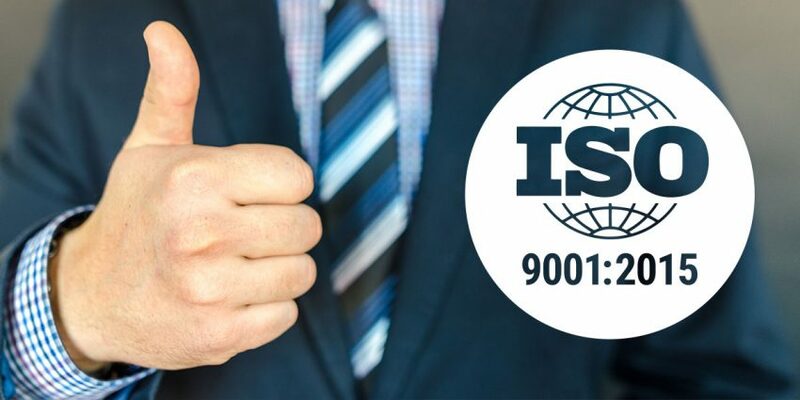 Implementation and maintenance of QMS in conformity with the requirements of family of standards ISO 9000 give an opportunity to the company not only improve quality of output products and provided services, and also positive influence on operating efficiency company overall. In fact QMS cover not only quality-related questions, and also all QM supporting processes (resource management, planning, improvement, risk management). For the company QMS implementation according to the requirements of ISO 9001:2015 and its Certification is additional confirmation of good administration work on the company at all levels. This includes as quality assurance so and other aspects of activity. All procedures of company operations are think over in details, documented and every employee knows his responsibility in minute detail. One of advantages and special aspects of the standard ISO 9001:2015 is determine and management of risks connected with enterprise activity. When the staff clearly and masterfully performs their functions, then even in an emergency it reasonably takes correct solution. Doing so allow increase meaningfully the performance, the companies Certified in accordance with the standard ISO 9001:2015.
International standard ISO 9001 accepted and admitted in more than 140 countries of the world, and is represented in set of requirements to QMS of the company. The Certificate for QMS ISO 9001 is a document, confirming approved effective functioning of QMS of production of outputs, services. Whereas, QMS effectiveness is regulatory requirements, and Certificate ascertain, that the system was inspected by Certification Body and established its conformity with the requirements of the European standard. Certificate stand in force over a period of three years, suitable for further prolongation. with the purpose of assessment of conformity with the requirements of the standard ISO 9001, certification body carries out annual inspection throughout the period of validity of this Certificate.